Dr. Toni is a Holistic Health Practitioner (HHP), Registered Herbalist (RH) and Certified Trainer in San Diego, California. 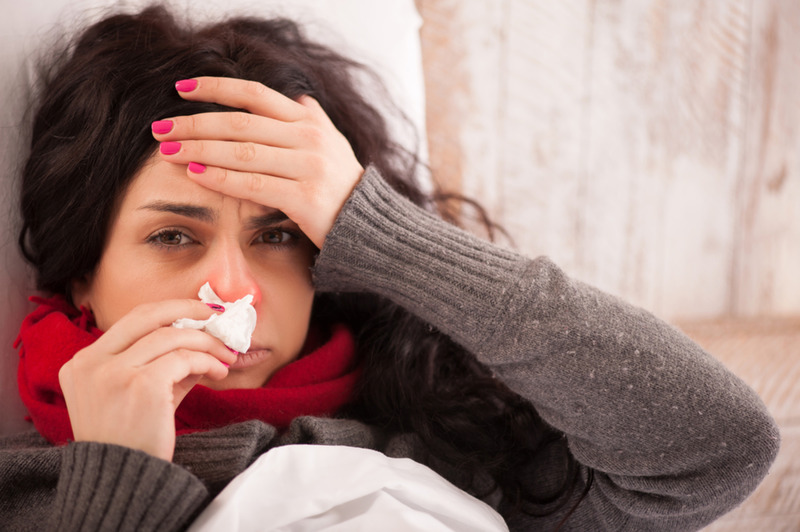 Most colds and flus happen during the fall and winter. Beginning in late August or early September, the rate increases slowly for a few weeks and remains high until March or April, when it decreases. You can reduce your risk of getting infected by building up your immune system naturally with herbs and a healthy diet. If the virus does strike, there are herbs that can help take the edge off and shorten its duration. In this article, I will cover preventive measures, herbs, and supplements to boost your immune system and fight infection, and also provide a few recipes for teas and meals that promote health. Is it you, or is it the virus that makes you sick? When it comes to your health, the Western world has largely adopted the germ theory, meaning that you get sick because you were exposed to a particular bacteria or virus that needs to be identified and destroyed. However, there is another theory called the terrain theory, which holds it is not the germs that necessarily determine whether you become sick, rather, it is the state of your internal health and your ability to maintain homeostasis in the face of “unfriendly” organisms that keeps you well. The terrain theory was initiated by Claude Bernard (1813-1878), and further developed by Antoine Bechamp (1816-1908). Now, more and more research studies are validating this theory. For example, Scientists at Washington University in St. Louis conducted an extensive analysis of the kinds and numbers of viruses found in healthy individuals. They report that the average healthy individual is carrying at least five types of viruses. The study also showed that for 92 percent of the participants at least one type of virus showed up in the samples, while some had as many as 10 to 15 different types of viruses present. It seems that we are surrounded by bacteria and viruses all the time, yet a healthy person is not sick very often. It is becoming clear that the presence of germs does not constitute the presence of a disease. Even in the worst epidemics, there are always people who either don’t get sick or whose symptoms are mild and quickly resolved. Not to mention about one third of people who are infected remain asymptomatic. Interestingly, Pasteur (1822-1895), who made the germ theory popular, recanted his entire work on his deathbed, stating “the microbe is nothing; the milieu is everything.” In other words, he stated that it is not the germs that cause disease, but the terrain in which the germs are found. Likewise, Rudolf Virchow (1821-1902), father of the germ theory, stated in his later years “If I could live my life over again, I would devote it to proving that germs seek their natural habitat – diseased tissues – rather than causing disease.” Clearly they are both noting the paramount importance of the internal environment. The study of these theories is beyond the scope of this document. However, it is worth noting that both theories make valid and truthful arguments, and we can take each theory into consideration and utilize our knowledge of them to reduce our risks of developing the cold or flu. When the immune system is functioning properly, it can protect the body against many pathogens. A healthy immune system is the body’s best defense against any disease. It all starts with prevention. A healthy body will have innate resistance to many bacteria and viruses; if infection occurs, symptoms will be mild, and can be fought off successfully in a short period of time. Therefore, normal functioning of the immune system is critical to our health and resistance to infection, and a strong immune system is the best defense against the cold and flu. Besides, the coming cold and flu season is only one of the many reasons that immune function should always be at the top of your list of health priorities. The immune system doesn’t just keep colds and flus away — it is also the body’s best defense against any disease. An anti-inflammatory diet high in fruits, vegetables, and whole grains, and low in saturated fat, keeps your immune system healthy and strong. Eat a diet high in fruits, vegetables, and whole grains, and low in saturated fat. Preferably follow an anti-inflammatory diet. Reduce or eliminate refined sugar intake. Eating or drinking too much sugar suppresses immune system cells that attack bacteria. Instead, moderately use sugar substitutes such as honey, agave and maple syrup. Exercise regularly but not in excess. Studies show that at least 30 minutes of exercise on most days of the week increases immune function. However, excessive exercise regimes can temporarily hinder immune function. Reduce or eliminate your coffee intake (1 or 2 cups per day). Caffeine may raise levels of the stress hormone cortisol, which suppresses the immune system. If you're a coffee drinker, try substituting green tea for coffee. Green tea has less than half as much caffeine as coffee and is rich in antioxidants. There are also quite a few coffee substitute products that may be used as safe alternatives to coffee. Teeccino or Dandy Blend are great herbal substitutes. Stay warm. Maintaining your body temperature helps your body defend against invasion by viruses. Viruses thrive and replicate faster when your body temperature drops; even a drop of one degree leaves it more vulnerable to developing a full-blown illness. If your temperature drops further (to the point of shivering), it is almost a sure thing that you will get sick, especially when combined with exposure to other elements such as wind, rain or snow. If you want to fix your health, start with your gut. The human gut is an ecosystem consisting of a great number of bacteria living in harmony with the host. Several studies confirm that gut microbiota are engaged in a dynamic interaction with the immune system. Evidence indicates that intestinal microflora have protective, metabolic, trophic and immunological functions. When one or more steps in this fine interaction fail, autoimmune or auto-inflammatory diseases may occur. Therefore, improving the health of your gut flora will improve your immune function. A junk food diet. A nutrient-poor diet promotes the growth of the wrong (bad) bacteria and yeast in the gut, leading to a damaged ecosystem. Medication overuse. 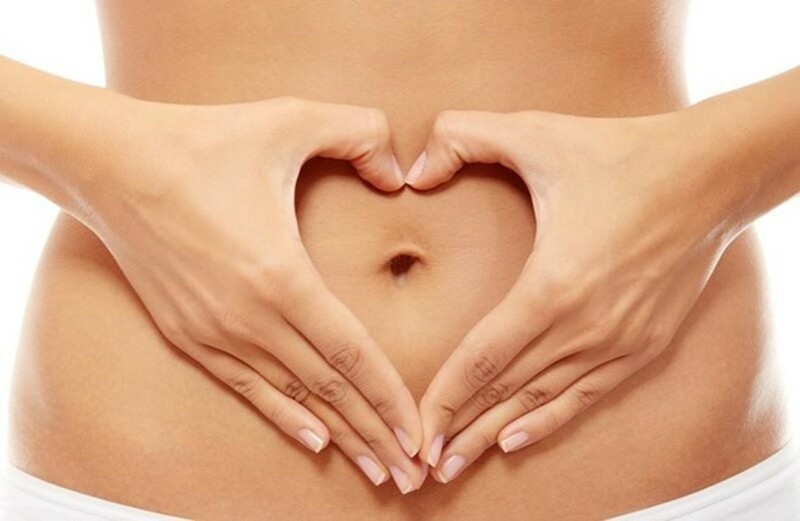 Anti-inflammatories, antibiotics, acid blocking drugs and steroids damage the gut and block normal digestive function. Infections and gut imbalances. These include small intestinal bacteria overgrowth, yeast overgrowth and parasites. Toxic overload. Including mercury and mold toxins. Inadequate digestive enzymes. Stress, acid-blocking medications and zinc deficiencies can all contribute to lack of adequate digestive enzyme function. Stress. Chronic stress (including depression and anxiety) alters your gut nervous system, creating a leaky gut and changing its normal bacteria. Chronic stress suppresses the ability of the immune system to function properly. For example; studies have shown that a severely stressful event can cause up to a 50% reduction of killer cell activity. Chronic stress preceding an acutely stressful event also significantly affects killer cell activity. The Immune system can take hours or days to react to stress. This means that short term stress can usually be dealt with, and as such, does not adversely affect the immune system. However, when stress is chronic, the immune system begins to become impaired. Cortisol, a hormone produced by the adrenals when you are under stress, negatively affects the immune system, by decreasing the number of white blood cells. Therefore, accumulated stress can lead to a state of allosteric overload where serious health problems can result. Is all stress bad? Not necessarily. When stress is within your comfort zone, it can help you to stay focused, energetic, and alert. 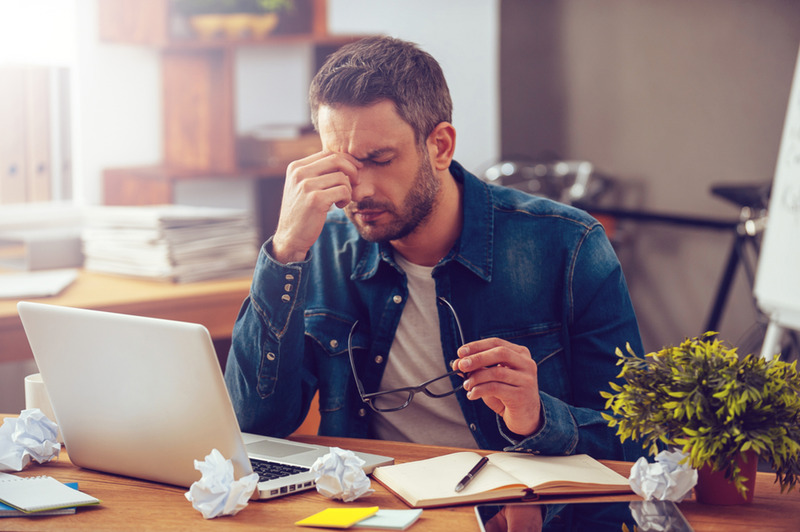 Stress is linked to: headaches, infectious illness (e.g., flu), cardiovascular disease, diabetes, asthma, gastric ulcers, high blood pressure, and high cholesterol. 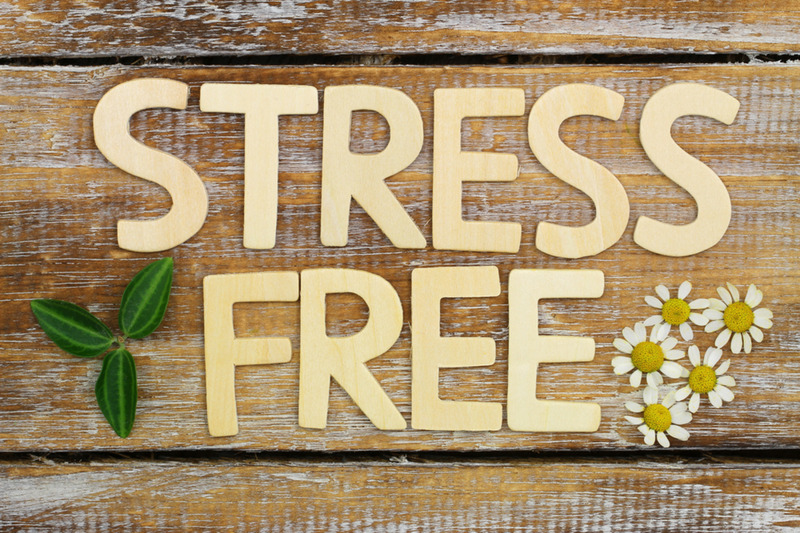 Stress can also have an indirect effect on the immune system as a person may use unhealthy behavioral coping strategies to reduce their stress, such as overeating, drinking and smoking. An important goal for those under chronic stress is the management of life stresses. Elimination of stress is unrealistic, since stress is a part of normal life. Researchers have found that the simple process of journal writing about stressful incidents improves immune function. Moreover, there are hundreds of different relaxation techniques to help manage stress, including yoga, guided imagery, biofeedback, tai chi, qigong, and progressive muscle relaxation. Find the one that is best for your needs, and make an effort to work on managing stress daily. While the complete elimination of stress is unrealistic, management of stress is an attainable and realistic goal that can be achieved by a number of stress management techniques. We can categorize herbal nervines by the action of the herb on the nervous system, such as: nerve tonics, sedatives, demulcents and stimulants. There is much evidence that immune support herbs act to stimulate or modulate the immune system. Immune modulators bring about increased resistance through a nonspecific self-regulating process. These herbs work to increase innate immunity and provide vital support to the immune system. On the other hand, immune stimulants boost the activity of the immune system but are not known to normalize excessive immune response. 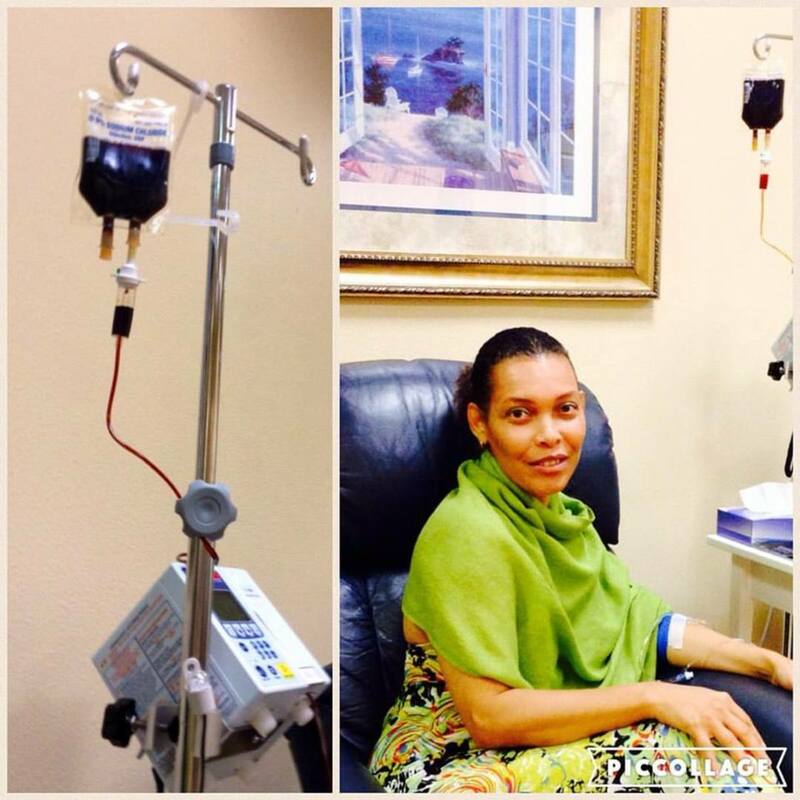 Consequently, they are not recommended for people that have autoimmune disorders. Instead, people with autoimmune disorders may use immune modulating herbs. 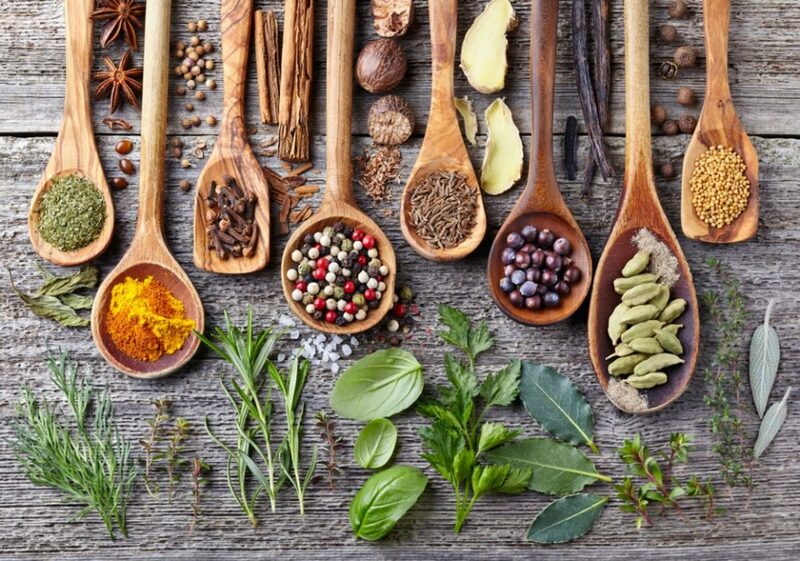 There are quite a few immune support herbs, including adaptogens, which are substances that help the body better cope with mental and physical stress. I’ll cover a few of the best-researched immune herbs in regards to cold/flu that are readily available in natural health food stores. 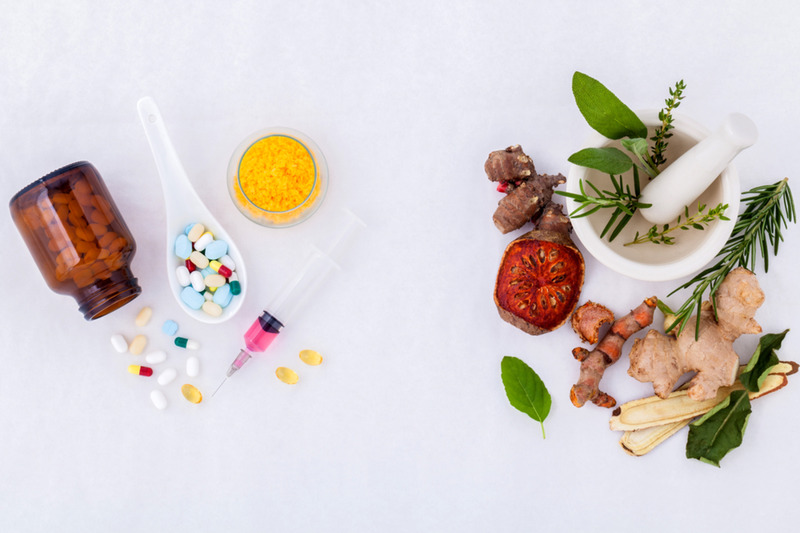 Consult with a doctor, herbalist, naturopath, or other licensed health professional before introducing a new herbal remedy, supplement, or nutrient into your daily regimen. Check for drug interactions, side effects, and proper dosing and dosing duration before proceeding. Astragalus root is one of the most powerful immune-boosting plants. It is a Chinese herb that's been used for centuries to strengthen the body's internal systems, and it specifically helps with colds and upper respiratory infections. Its greatest strength is preventing and protecting cells against cell death and other harmful elements, such as free radicals and oxidation. 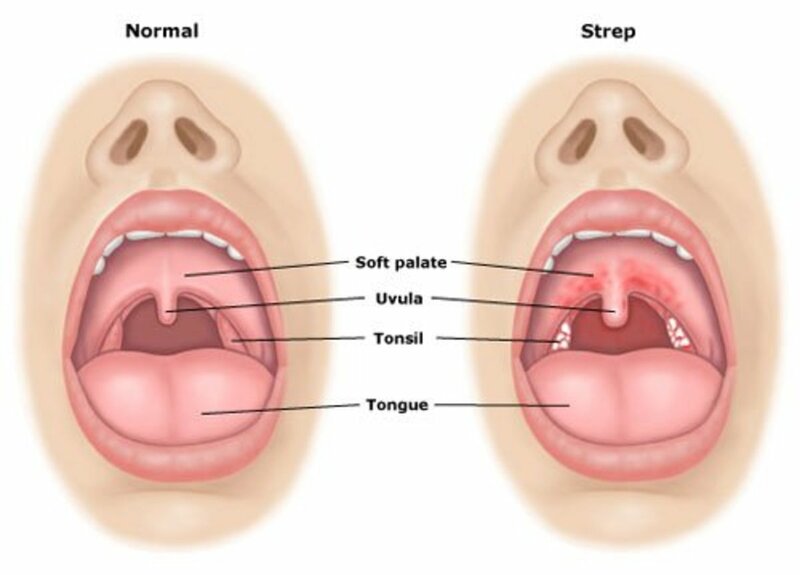 Do not take astragalus while you have a fever. Elderberry (Sambucus) is used for its antioxidant activity, to lower cholesterol, improve vision, boost the immune system, improve heart health, treat respiratory, bacterial and viral infections, and tonsillitis. In addition, evidence suggests that chemicals in elder flower and berries may help reduce swelling in mucous membranes, including the sinuses, and help relieve nasal congestion. Elderberry may have anti-inflammatory, anti-viral, anti-influenza, and anti-cancer properties. A study found that using a standardized elderberry extract could shorten the duration of flu by about 3 days. Another study found that a lozenge with elderberry extract helped reduce flu symptoms when taken within 24 hours of symptoms starting. In the lab, one study suggested that elderberry could kill the H1N1 virus ("swine flu") in test tubes. Echinacea stimulates the immune system and prevents and treats upper respiratory tract infections. Studies suggest that it stimulates cells in the body whose primary function is to fight invading particles and organisms. White blood cells and spleen cells increase in number when echinacea is taken. Echinacea was used by the North American Indians and early settlers as an antimicrobial for relief of infections, pain and to reduce symptoms of snake bites. Others have used Echinacea for relief of scarlet fever, syphilis, malaria, blood poisoning and diphtheria. In Chinese medicine, Eluthero (also known as Siberian Ginseng) is used to prevent respiratory tract infections, colds and flu and to increase energy, longevity, and vitality. 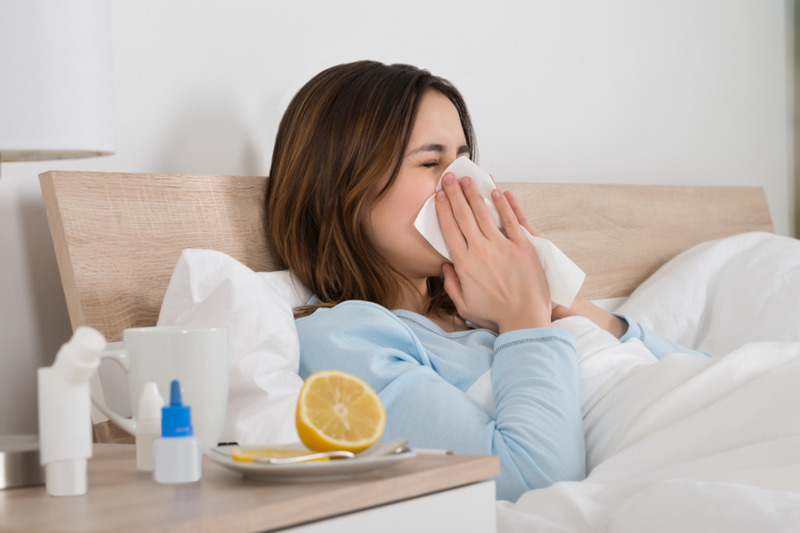 Double-blind studies have found that a specific product containing Eluthero reduced the severity and length of colds when taken within 72 hours of symptoms starting. Another study found that healthy people who took Eluthero for 4 weeks had an increase of T-cells, which may indicate a strengthening of their immune systems. It is widely used in Russia as an adaptogen. Canadian researchers found that Ginseng, an herb widely used in Chinese medicine, is proving successful at reducing the number and severity of colds in research subjects. Ginseng also improves stamina and stress resistance, and enhances the ability to endure physical strain, resist disease and perform tests of mental sharpness. Green tea is of great scientific interest due to its potentially positive effects on the mind and body. For example, there is evidence that it can help strengthen the immune system. By strengthening immune agents, protecting against oxidative stress that can damage cells, and preventing autoimmune disorders like rheumatoid arthritis, green tea is thought to be highly beneficial. Rose hips contain 50% more vitamin C than oranges. Because of their high vitamin C content, they are an excellent immune system booster, and can help prevent infections from both bacteria and viruses. They are often used as a supplement to prevent or treat a cold. Some of the most potent immunosupportive agents come from mushrooms. There are mushrooms that kill viruses, bacteria, yeast, and even ones that kill cancer. A new study from the University of Florida showed increased immunity in people who ate a cooked shiitake mushroom every day for four weeks. Nicknamed "The Great Protector", red reishi mushroom has been used for centuries for its numerous health benefits. Proven to be a powerful immune modulator, this mushroom has been shown to contain health-giving compounds that regulate antibody production, protecting you against cold and flu viruses. It can also be taken during a cold or flu to help speed up recovery and minimize a virus’s effect. It works best when taken regularly to prevent viruses from taking hold in the first place. Make sure to choose a product rich in polysaccharides, sterols, and other compounds that support the immune system. Overall your first line of defense is to choose a healthy lifestyle. Nevertheless, if you are in need of additional immune support, the previously-mentioned herbs are your best bet to help prevent or shorten the duration of a cold or flu. Immune support herbs are best when taken regularly to prevent viruses and bacteria from taking hold in the first place (e.g., at least a couple of weeks before the cold/flu season starts). It is helpful to take a one-week break from these herbal supplements after taking them for about one month, then begin taking them again. This is particularly helpful for those with weak immunity, young children and the elderly. If you have a strong immune system and follow a healthy lifestyle, you might not need to take an herbal supplement to prevent colds and flus. It will be good enough to take the supplement in times when there is a change in your lifestyle that might weaken your immune system, such as stress, anxiety, or a bad diet. At the first sign of a cold/flu take an immune formula, as it will reduce its duration. Systemic. These are spread by the bloodstream throughout the body, affecting every cell and organ. They are active against a range of bacteria and viruses. Localized. Herbs that do not spread easily throughout the body and are limited in their movement are called “localized”. Because they don’t easily cross membranes, they are effective for GI and urinary tract infections, as well as for external infections such as, E. coli, cholera and infected skin wounds that refuse to heal. Facilitative or synergistic. These herbs facilitate the action of other plants or pharmaceuticals. They either enhance the action of the antimicrobial that is being used or affect the virus or bacteria so the antimicrobial is more effective. Most of these herbs contain antimicrobial properties themselves. As with immune support herbs, there are thousands of combinations of plant medicine that can be created to treat respiratory conditions. In the following table, I’m only covering a few of the ones I find useful and well-researched in regard to colds/flus, and are readily available as food and supplements in natural food stores. 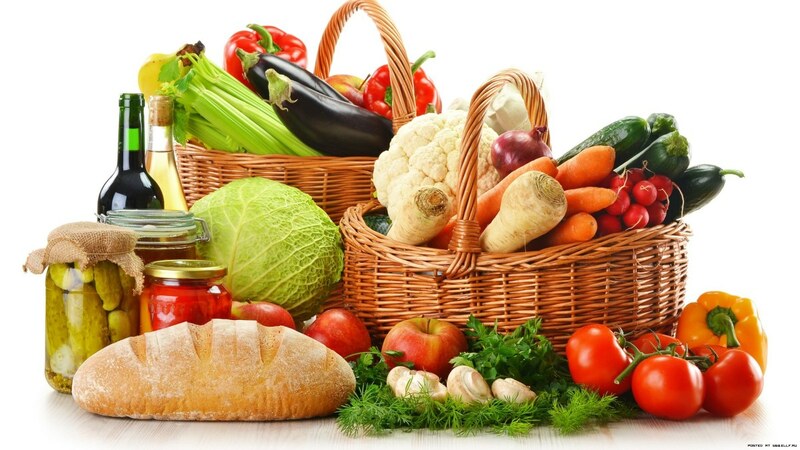 Antimicrobial foods to incorporate in your diet. Antimicrobial foods are an effective way of providing what your body needs to fight or prevent infection. Foods have been used for thousands of years to heal people and what worked then still works today. Incorporate as many anti-microbial, anti-inflammatory, anti-oxidant, and immune boosting foods in your diet as possible, such as garlic, onions, honey, bell peppers, cabbage, raw apple cider vinegar, turmeric, coconut oil, home-made soups and chai tea. 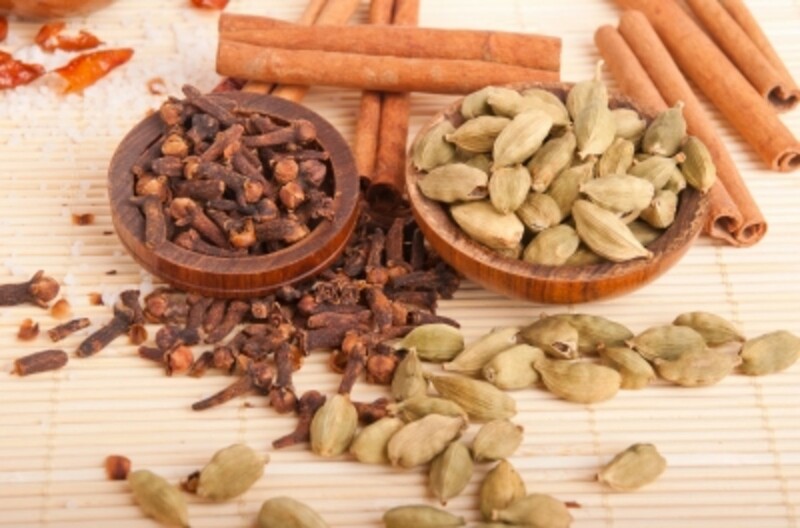 Add fall and winter spices to your foods, like cinnamon, ginger, oregano, thyme, clove, and nutmeg. Chaparral has strong antifungal and antimicrobial properties and is a treatment frequently utilized to kill parasites living in our bodies. 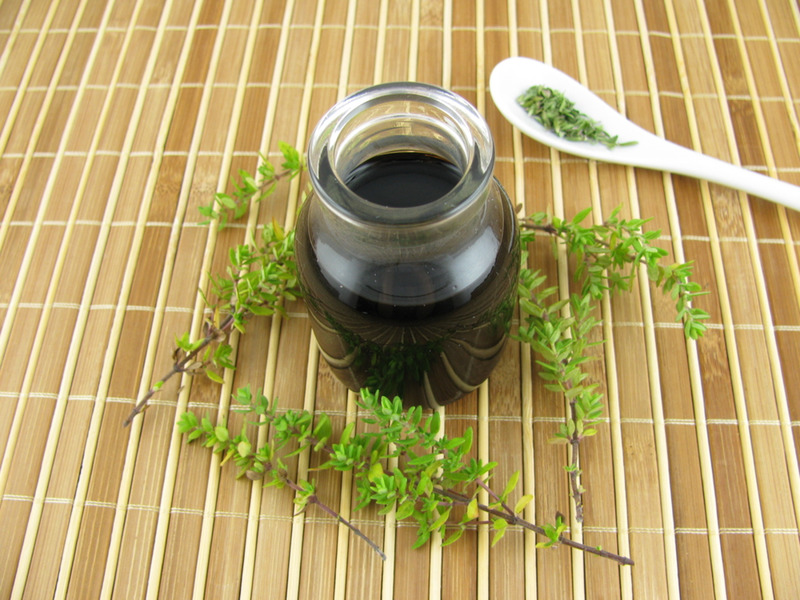 It has antibiotic qualities and has been historically used to treat colds, flu and diarrhea. Chaparral contains a powerful antioxidant called NDGA (nordihydroguaiaretic acid) that has been used as a food preservative and may account for some of its medicinal properties. The health benefits of cloves include improved digestion and relief of respiratory infections. Cloves have anti-microbial, anti-septic, analgesic, anti-fungal, and anti-inflammatory properties. They protect the liver, boost the immune system, and fight against oral diseases and headaches. Cloves are also considered an aphrodisiac. 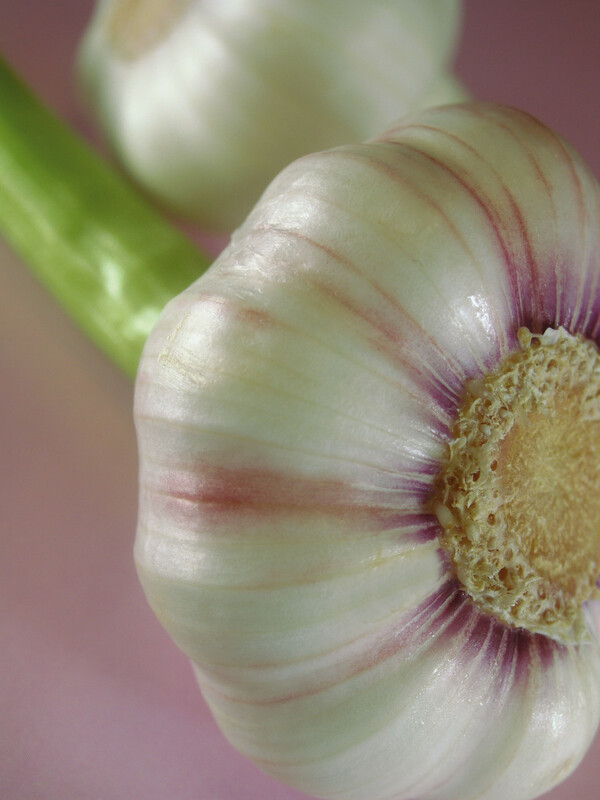 Garlic is anti-microbial, anti-inflammatory, anti-fungal, reduces blood pressure, improves cholesterol levels, helps prevents Alzheimer’s disease and dementia, may increase longevity, detoxifies heavy metals in the body, and may improve overall health. Ginger has been used across the world for treating a range of bacterial and viral infections including colds, flus, hepatitis, herpes, yellow fever, measles, chicken pox and enterovirus. Ginger is an effective antiviral and antibacterial only if you are using the fresh root (or an alcohol tincture made from the fresh root). 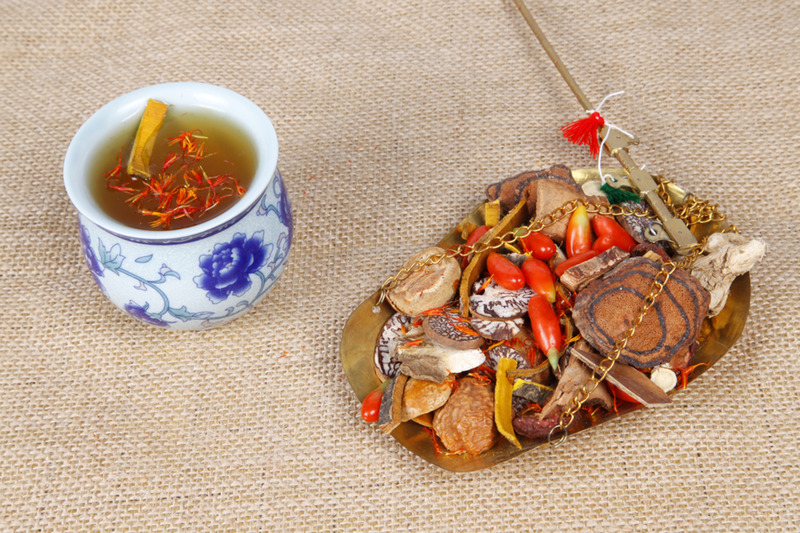 In Chinese medicine, the dried root and the fresh root are considered different medicines with different actions. According to Harrod, the plant’s constituents are altered considerably with drying, as many of the volatile oils are lost, and other constituents morph as they dry. Other actions of ginger include: analgesic, anti-fungal, diaphoretic, anthelmintic, anti-inflammatory, elastase inhibitor, anti-arthritic, anti-spasmodic, hypotensive, antitussive, immune stimulant, anti-diarrheal, carminative, antiemetic, circulatory stimulant, and synergist. Ginger is highly effective in reducing the ability of bacteria to force antibacterials out of their cells. Consequently, it increases the potency of antimicrobials. Ginger is also warming and is a decongestant. Goldenseal is anti-biotic, anti-inflammatory and astringent. It soothes irritated mucus membranes – aiding the eyes, ears, nose and throat. If taken at the first signs of a respiratory problem or cold/flu, goldenseal can help prevent further symptoms from developing. It has also been used to help reduce fevers and relieve congestion and excess mucous. It is the alkaloid berberine in goldenseal that is most likely responsible for its effectiveness against bacteria, protozoa, fungi and Streptococci . Goldenseal also promotes removal of bacteria by inhibiting their ability to adhere to tissue surfaces. Berberine is also strongly anti-diarrheal. It aids against the infection of mucous membranes such as the lining of the oral cavity, the throat, sinuses, bronchi, bronchioles and the genito-urinary and gastrointestinal tracts. Clinical studies have shown it is effective in the treatment of diarrhea caused by E. coli, Shigella dysenteriae, Salmonella paratyphi, giardia lamblia, and vibrio cholerae (cholera). Goldenseal may also help with allergic rhinitis, hay fever, laryngitis, hepatitis, cystitis, and alcoholic liver disease. Goldenseal is an endangered species. Therefore use sparingly or substitute with any other herb that contains berberine, such as: Oregon grape root or barberry. Juniper is a non-systemic antimicrobial. Its berries can be used for urinary tract infections and the berries and needles will work for upper respiratory and GI infections. 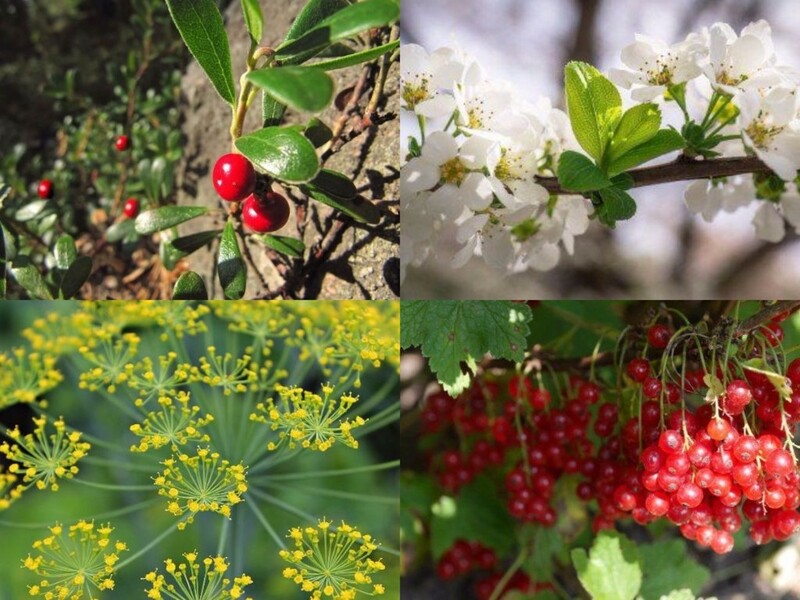 The heartwood, roots, bark, berries, and needles can be used for skin infections and infectious dysentery. The essential oil works wonders on upper respiratory infections such as sinus infection. Licorice made the list of antimicrobial herbs because it is a very potent synergist. It has been found to potentiate the action of anti-tuberculosis drugs; increasing positive outcomes in treatment. It has also has been found to potentiate the action of oseltamivir against resistant influenza strains. In addition, it reduces toxicity and potentiates other medications. Licorice is a major broad-spectrum antiviral, meaning it prevents viral replication across a wide range of viruses and inhibits viral growth. Licorice is an immune stimulant; it stimulates interferon production, enhances antibody formation, stimulates phagocytosis. Licorice is also an immune modulator, as it reduces interferon-gamma level if they are high and upregulates them if they are low. Lomatium is antibacterial, antifungal, anti-inflammatory, antimicrobial, antiseptic, antiviral (DNA and RNA viruses), expectorant, and immuno-stimulative. It is used to treat Candidia albicans, Clostridium (5 strains), Corynebacterium diptherium, Diplococcus pneumonia, E. coli, Hemophilus influenza, Mycobacterium tuberculosis, Neisseria gonorrhea, Proteus vulgaris, Pseudomonas aeruginosa, Salmonella, Shigella (3 strains), Staphylococcus aureus and Streptococcus pyogenes. The health benefits of Myrrh can be attributed to its properties as an antimicrobial, astringent, expectorant, antifungal, stimulant, carminative, stomachic, anticatarrhal, diaphoretic, vulnerary, antiseptic, immune stimulant, circulatory, tonic, anti-inflammatory and antispasmodic. Oregano provides Immune support. It is anti-fungal, anti-bacterial, anti-inflammatory, anti-cancer, and useful for respiratory infections. Research has shown essential oil from oregano may kill the foodborne pathogen Listeria and the superbug MRSA, making it a useful addition to hand soaps and disinfectants. Even though Oregon grape root is a berberine, it is not botanically related to goldenseal, and it provides an excellent alternative to the endangered goldenseal. Like all berberines they both contain immune-stimulating, infection-fighting, antiseptic properties. Herbs that contain berberine are scientifically proven to protect against bacteria, viruses, and fungi. First, the bad news: There is no cure the cold or flu. The good news is that the herbs discussed here will help the viruses clear up pretty quickly, usually within 3-5 days. They will also prevent complications like bronchitis or pneumonia. I’m sick, what do I do now? Drink plenty of fluids. This helps break up congestion, makes your throat moist, and keeps you from getting dehydrated. Need ideas for something to drink? Try water, coconut water, non-dairy chai tea, herbal teas, or fresh ginger root lemonade (see recipe section). Drink hot liquids, as they relieve your congestion and soothe the inflamed lining of your nose and throat. Chicken soup might help too. Stay warm and rested. It's important to get rest when you first come down with a cold or flu. It helps your body direct its energy to fighting off the infection. Steam inhalation: Pour hot water into a bowl and add 3-5 drops of the essential oil you've selected. Place your head about 12 inches above the bowl and cover your head with a towel, forming a tent over the bowl. You can loosen up your stuffy nose if you breathe in some steam with antimicrobial essential oils, such as eucalyptus, oregano, lavender, camphor, and thyme. Hold your head over a pot of boiling water, add about 5 drops of the essential oil of your choice (or a combination of antimicrobial essential oils). Breathe slowly through your nose, but be careful to not burn yourself. This also helps with sinus infections. You can also get some relief with a humidifier or an essential oil diffuser in your bedroom (use 10 drops of essential oil). Also try to take in some moisture from a hot shower with the door closed. Use saline spray and salt water rinse at least 3 times a day. 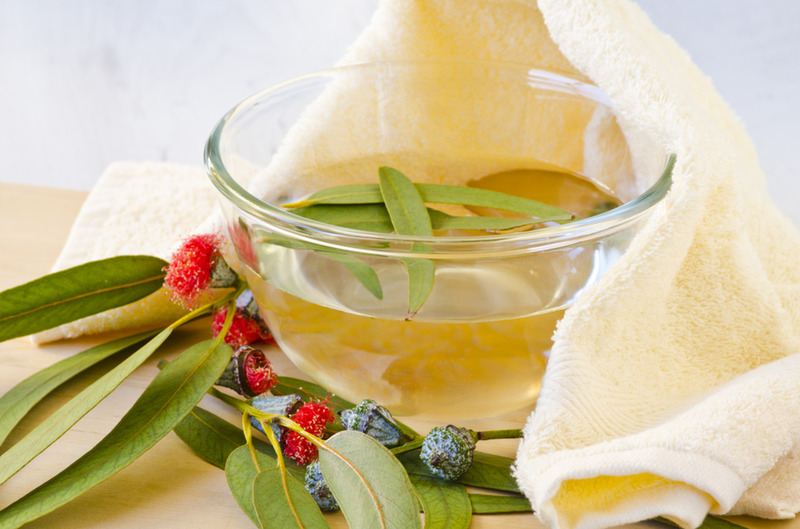 You may add one drop (only one) of eucalyptus or juniper essential oil to your salt water rinse. Use a salve made with antimicrobial essential oils. Try a small dab under your nose. It opens up breathing passages. Menthol, eucalyptus, and camphor all have mild numbing ingredients that may help relieve the pain of a nose rubbed raw. Take an herbal immune support and an herbal antimicrobial supplement at the first sign of a cold (3 to 6 times a day). Ginger helps bring down inflammation, clears congestion, soothes a sore throat, and supports the immune system. Drink 2-3 cups of fresh ginger tea daily (see the recipe section). For coughs, take a natural cough syrup that contains any of the herbs that are used for respiratory support (see list in the next section). Increase Vitamins C & D. Vitamin C supports the immune system and helps fight colds. About 500-2000 milligrams every two hours is recommended. Fruits and vegetables high in Vitamin C include oranges, kiwis, bell peppers, guavas, strawberries, dark leafy greens, papaya, broccoli and brussel sprouts. Having enough Vitamin D reduces your risk of catching a cold to begin with. Sunlight and fish are great sources of Vitamin D.
Most upper respiratory infections do not cause complications. However, viruses and bacteria thrive in mucus, so some people may develop what is called a secondary infection of the lung tissue (pneumonia), ears or sinuses. See a doctor if you develop a secondary infection and the symptoms do not start to ease within a few days, or if you suspect that a complication is developing. An upper respiratory infection may trigger coughing, wheezing and shortness of breath in people with asthma or other chronic respiratory illnesses. See a doctor if you have any of these conditions (children and the elderly should be under the supervision of a medical doctor). They may be an expectorant (helps break up and expel chest congestion). Soothing of irritated nasal passages and airways. Relaxation of the muscles near the upper respiratory system to subdue a cough. Acting as antimicrobials that fight the virus or bacteria that can produce upper respiratory problems. The health benefits of camphor essential oil include: is a stimulant, antispasmodic, antiseptic, decongestant, anesthetic, sedative and nervous pacifier, antineuralgic, anti-inflammatory, disinfectant, and insecticide. It is a powerful decongestant. It immediately relieves congestion of the bronchi, larynx, pharynx, nasal tracts and lungs. Cayenne pepper benefits include being full of beta carotene and antioxidants that support your immune system. Aids in breaking up and moving congested mucus. 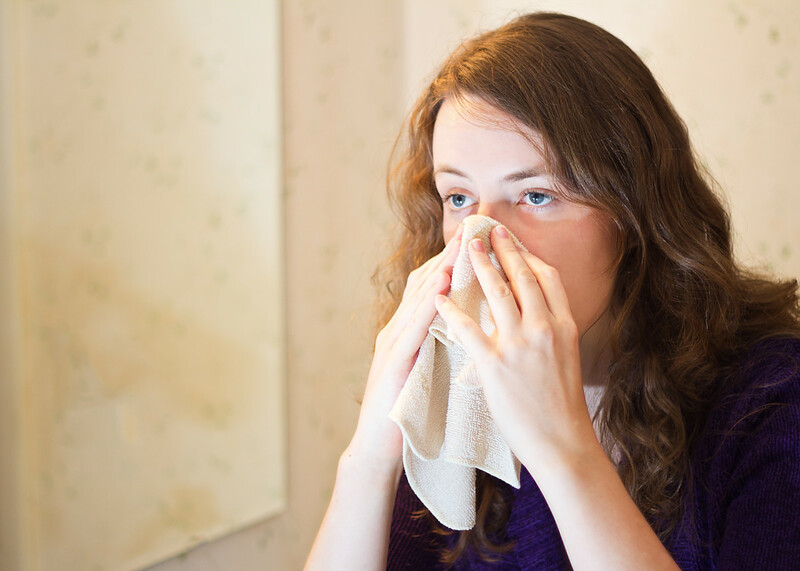 Once mucus begins to leave the body, relief from flu symptoms generally follows. Coltsfoot is used as a respiratory disinfectant, expectorant, and cough suppressant, and makes an effective tea to clear congestion. It has been used since the days of ancient Greece and Rome to relieve asthma and bronchial congestion. Use coltsfoot for no more than six weeks at a time. Elecampane root is one of the top remedies for advanced chest diseases and has a long record for clearing old coughs, especially those due to tuberculosis. It has also been extensively used as a treatment for colds and congested conditions such as arthritis, rheumatism and bronchial conditions. Eucalyptus has antibacterial, anti-inflammatory and analgesic properties. It is used to help relieve symptoms of the common cold and is found in many cough lozenges and inhalants. Eucalyptus essential oil acts as a decongestant when it is inhaled and is used to treat bronchitis and sinusitis. The health benefits of Juniper Essential Oil can be attributed to its properties as an antiseptic, sudorific, antirheumatic, depurative, antispasmodic, stimulant, stomachic, astringent, carminative, diuretic, rubefacient, vulnerary and tonic substance. It has expectorant, antiseptic, and antispasmodic properties. It is a good option for any respiratory illness, including sinusitis. Mullein leaf removes mucus from the body, specifically from the lungs. It can also be used to help remove mucus from the small intestine. Mullein leaf has long been used as an expectorant for treating respiratory congestion because it promotes the ejection of mucus from the lungs. Osha has been considered sacred and used by Native Americans for treating colds, cough, and other respiratory ailments. The root contains oils, including camphor, saponins, ferulic acid, terpenes, and phytosterols. Because of the range of mechanisms, Osha root is considered the best American herb for lung and throat problems. Osha root helps clear mucus from the sinuses and lungs by increasing expectoration. This relieves congestion and makes breathing easier. Osha root also increases blood circulation to the lungs, which increases dilation during constriction. For this reason, it is used to support conditions such as emphysema, pneumonia, asthma, and allergies. The broncho-dilating effect of osha root helps the efficacy of the lungs by increasing oxygen utilization and uptake in the body. In other words, osha root helps one take deeper breaths. Please note that osha is an endangered species because it is impossible to cultivate. Therefore, only buy it from a reputable provider and use it in small amounts. Wild Cherry Bark has been used for hundreds of years as an expectorant; clearing out air passages and fighting various respiratory ailments. It helps cleanse the respiratory system. Wild cherry is used for colds, whooping cough, bronchitis and other lung problems, diarrhea, gout, digestive disorders, pain, and cancer. 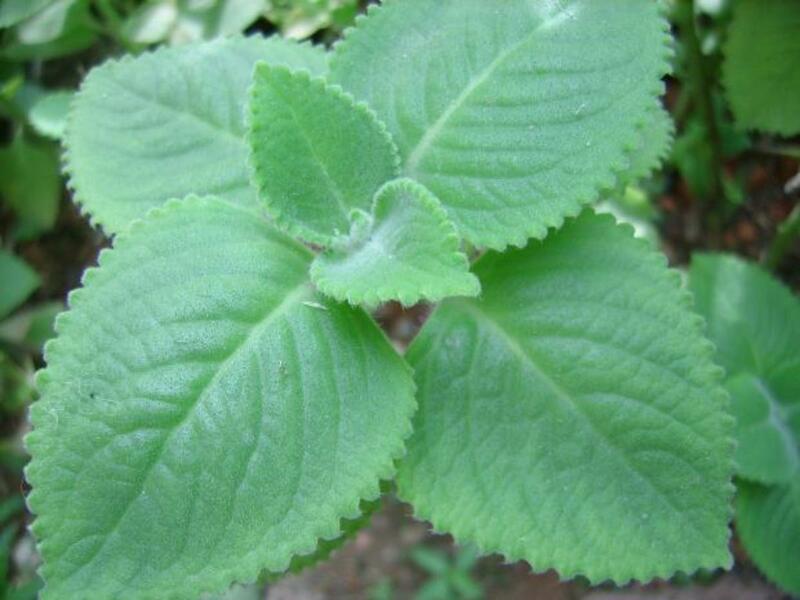 It is also used in cough syrups because of its sedative, expectorant, drying, and cough-suppressing effects. Yerba santa has a long history of being used medicinally by Native Americans. Spanish settlers named the plant yerba santa due to its medicinal qualities. Yerba santa can be used to treat respiratory issues including asthma, bronchitis, influenza, and tuberculosis. It’s also used to lower fevers and to loosen phlegm. If you have a cough or bronchial irritation, this herb can relieve and potentially eliminate the symptoms. 60 drops of essential oils used for respiratory conditions (e.g., eucalyptus, clove, camphor, juniper). Melt beeswax with oil of choice in a double boiler until just melted. Add the essential oils (use half the amount for a children’s version or dilute with coconut oil before using). Stir until well mixed and pour into a container with a lid. Use as needed to help reduce coughing and congestion. Pumpkin soup (and pumpkin in general) is a great dish to incorporate into your diet during the fall and winter seasons to help you stay healthy. This is due to pumpkin being an extremely nutrient-dense food; meaning it is full of vitamins and minerals. In addition, the spices in pumpkin soup are antimicrobial. 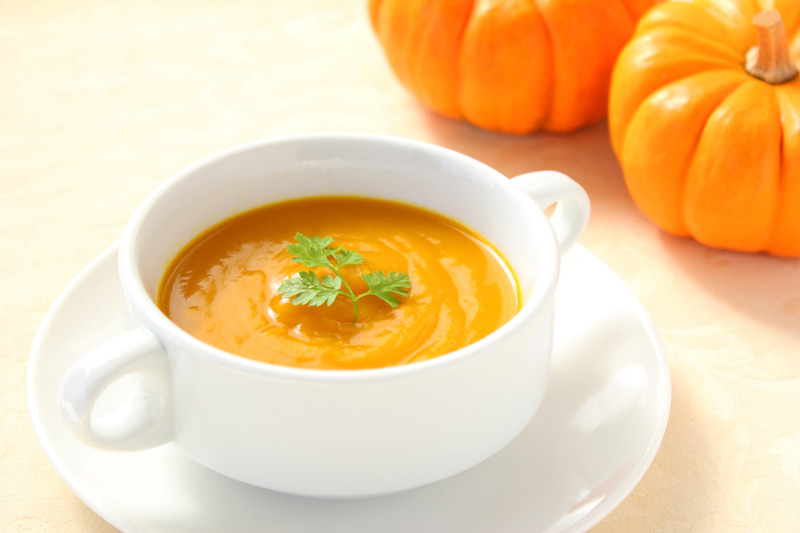 Do not limit yourself to pumpkin soup, as there are many creative ways pumpkin can be incorporated into your diet, including desserts, soups, salads, and preserves. Heat the oil in a heavy large pot over medium heat. Add the onion and garlic. Sauté until golden (about 10 minutes). Add the pumpkin, broth, sugar, allspice, and crushed red pepper. Bring to a boil. Reduce the heat. Cover and simmer until flavors blend (about 30 minutes). Working in batches, puree the soup in a blender until smooth. Return the soup to the pot. Bring the soup to a simmer, thinning with coconut milk to the desired consistency. Season to taste with salt and pepper. Ladle the soup into bowls. Sprinkle with the pumpkin seeds, drizzle with a teaspoon of coconut milk and serve. This soup is a great way to incorporate immune boosting foods and herbs into your diet. Try it by itself or add vegetables or chicken to it. Bring the water or stock to a boil in a soup pot. Add a pinch of salt, the rice, astragalus root, ginger, and shiitake mushrooms. Bring back to a boil, then reduce to a low simmer and simmer about 1 hour and 20 minutes, or until the rice is partly dissolved into a creamy broth. Add more water as needed to make a soup the consistency you prefer. While the rice is simmering, heat a sauté pan and sauté the vegetables with a pinch of salt for about five minutes, or until they begin to be soft. Then, cover with three cups water, add a teaspoon of tamari sauce and simmer very slowly for about 35 minutes or until all the vegetables are meltingly tender. Add the vegetables to the rice pot, stir and simmer about 5 minutes more. Taste and season, adding a tablespoon of white miso if you like, or a little bit of soy sauce. Remove the astragalus root from the rice. Garnish with green onions, pickled vegetables, or other toppings that appeal to you. Tastes excellent reheated the next day. This recipe is quick, easy, good for you, and super delicious. 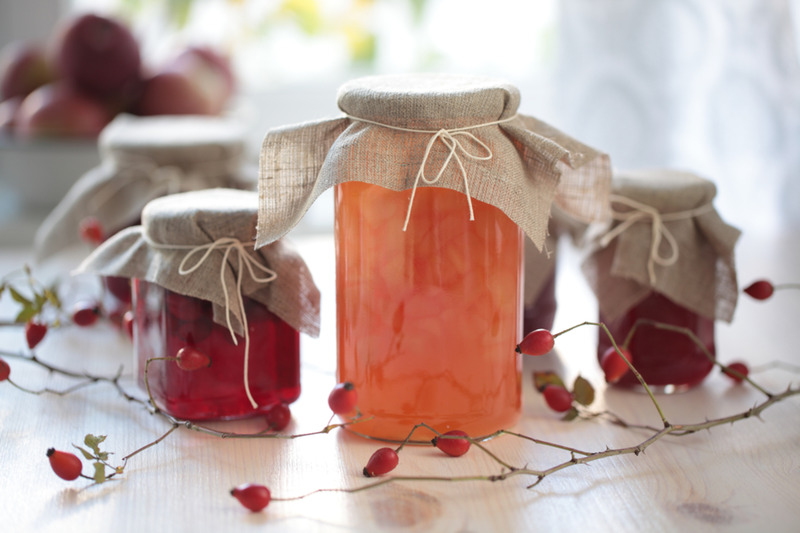 Half-fill a pint jar with dried seedless rosehips. Pour apple cider (raw unpasteurized is the best) over the rosehips and fill the jar nearly to the top, leaving a small breathing space. Leave on the counter and let it sit overnight. In the morning you’ll have rose hip jam that’s absolutely delicious and good enough for you that you can scoop and eat by the spoonful. Must be stored in the refrigerator. 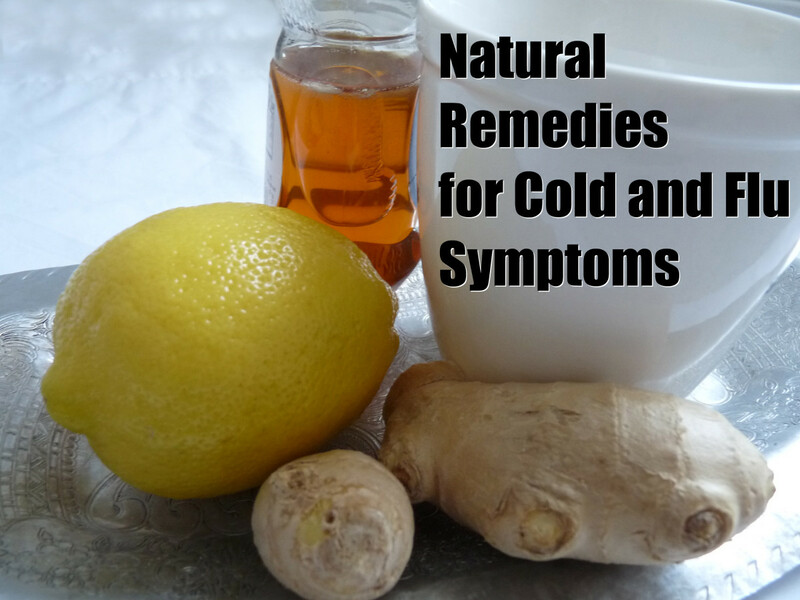 This recipe is great for treating coughs, colds, and chest conditions. Combine the thyme and water in a pan over very low heat. Simmer lightly, with the lid ajar to allow the steam to escape, until the liquid is reduced by half (makes about 2 cups of very strong thyme tea). Strain, add honey to warm the liquid and stir until the honey is melted and well-mixed with the tea. Store in glass jar in the refrigerator, it will keep for 3 to 4 weeks. Take ½ to 1 teaspoon every couple of hours until the cold or cough subsides. As mentioned previously, ginger is an anti-viral and anti-bacterial only if you are using the fresh root (or an alcohol tincture made of the fresh root). It is highly effective in reducing the ability of bacteria to force antibacterials out of their cells. Consequently it increases the potency of antimicrobials. Ginger is also anti-inflammatory, warming and a decongestant. For all these reasons it makes an excellent tonic to take for cold/flu symptoms. Juice one or more pieces of ginger, in total about the size of a carrot. Save the left over plant matter to make an infusion (recipe below). 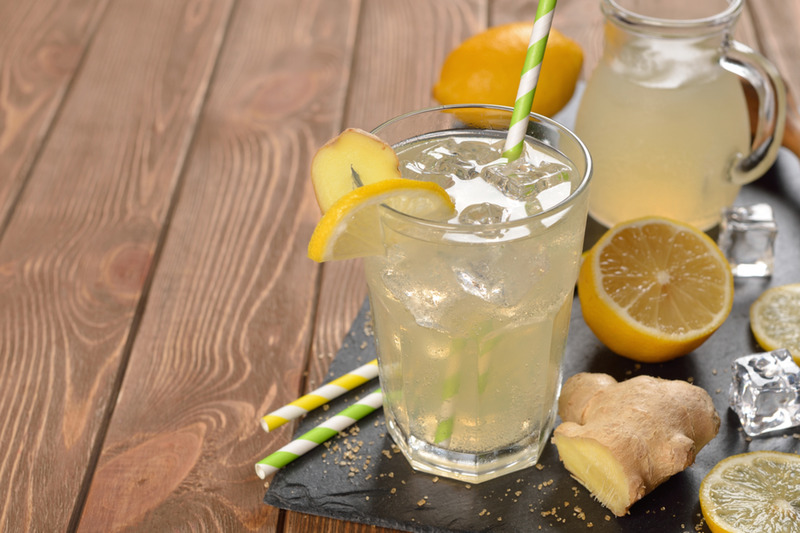 Combine about ¼ cup of ginger juice with 12 oz of hot water, 1 tablespoon of honey, the juice of ¼ of a lemon or lime (squeeze the juice into the cup and then drop the rind), and 1/8 of a teaspoon of cayenne (less if you are unable to tolerate the heat). Drink 4 to 6 cups a day. If you do not own a juicer, use the infusion method below. Or buy organic fresh-squeezed ginger juice (not from concentrate). Make sure it has not been diluted with water or other juices. I have found the “Ginger People” brand to be effective. Method 1: Add the left over plant matter from juicing ginger to 1 or 2 cups of water (depending on how much you have left). Allow it to steep for 4 to 8 hours, covered. Strain, and use the infused liquid to make the tea mentioned above. Method 2: Grate or chop a ginger root about the size of your thumb as finely a you can. Steep in 8 to 12 oz of hot water for 2 to 3 hours, covered in order to preserve the essential oils. Drink 4 to 6 cups daily until symptoms subside.